Help Local bands Play The Vans Warped Tour! Annual travelling punk fest The Vans Warped Tour will be hitting Comerica Park in Detroit on July 8th, and there are a number of Windsor bands looking to get on stage. 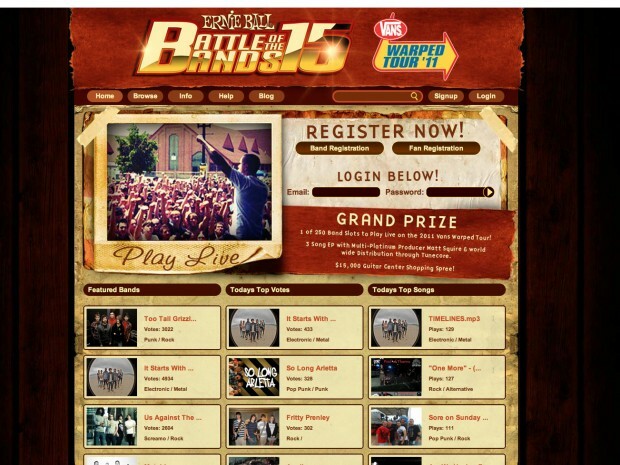 The Ernie Ball Battle of the Bands is in it’s 15th year, and invites musical acts to sign up to their website where people can vote once a day for their favourites, in the hopes of being able to see them play a local date. In order to vote, it is necessary to Sign Up. There are currently 228 bands signed up to play in Detroit. Here is a list of Windsor groups vying for a spot, and their rankings as of March 14th. Shortcut To Last (Pop-Punk/Alternative) find themselves in the #2 spot to play in Mississauga, with 2525 votes. To help your favourite make it though, sign up and vote every day. Four winners will be chosen to play each date, and although the decision isn’t based solely on votes, bands must be within the top 100 to be considered by a panel of judges who will choose the groups to play a stage alongside Mayday Parade, Emarosa, The Swellers, Automatic Loveletter, Eyes Set to Kill, and Closure in Moscow. The decision will be made based on a bands’ songwriting, ability to bring in a crowd, and how well they can actually play. So although your votes won’t guarantee bands a slot on stage, if you can at least get them in the top 100, they’ve got a fighting chance. Any bands interested in signing up but have yet to do so, the option is open until 2 weeks before the date you wish to play.